Enya Patricia Brennan was born on 17 May 1961, in Gweedore, County Donegal, Ireland, and is a singer, producer, musician, and songwriter, but best known for her very successful solo singing career in the music industry. She’s released numerous albums, and is Ireland’s biggest selling solo artist. All of her efforts have helped put her net worth to where it is today. How rich is Enya? As of late-2016, sources inform us of a net worth that is at $140 million, mostly earned through a successful career in the music industry. She has sold over 26.5 million albums in the US alone, and she has also won numerous awards throughout her career. As she continues being involved in the music industry, her net worth is expected to increase. Enya was born into a family of musicians, and so grew up learning music. At the age of three she participated in her first singing competition, and would start learning to play the piano a year later. Eventually, she would be put into a boarding school in Milford, which would develop her taste in classical music. She would stay there for six years before studying classical music in college for a year. In the 1970s, Enya’s family started a Celtic band, and she would later join them after her year in college, becoming a backing vocalist and the keyboardist of the band while touring around Europe. She was officially credited in the album “Fuaim”. Eventually, she would drift away from the band as she wanted to pursue a solo career, and would record a few songs and improve her craft, releasing singles here and there. In 1983 she produced a tape and sent it to various film producers, which led to her composing for “The Frog Prince”, with the album credited to her under the name “Enya”. In 1985, Enya was given her first major solo project as part of the documentary series “The Celts”, and an album was created with artistic freedom unlike “The Frog Prince”. This led to the creation of her first, self-titled studio album, which reached eighth spot on the Irish album chart. Her net worth would start to increase at this point, especially when she was given a contract by Warner Music in 1987, on the promise that there would be minimal interference, and so artistic freedom. In the same year she released “Watermark”, and it reached the 25th spot on the Billboard 200. The song “Orinoco Flow” would become an international top 10 hit, and “Watermark” would become a multi-platinum album, increasing Enya’s net worth considerably. Enya then worked on her next album – “Shepherd Moons” – which featured a change in musical direction. The album would even have greater success than “Watermark”, and would again become a multi-platinum album. In 1993 she won her first Grammy Award, and then re-released “The Celts” which would become a platinum album too. She then toured around the world to promote “Shepherd Moons”, before working on “The Memory of Trees” which sold over three million copies. In 1997, she released the compilation album “Paint the Sky with Stars: The Best of Enya” which featured two new tracks. She released three more albums in the next decade, with the first being “A Day Without Rain” in 1998. This album became her biggest seller with over seven million copies sold. Her songs were used for the soundtrack of “The Lord of the Rings: The Fellowship of the Ring”, and it led Enya to record two more songs for the franchise. Her sixth album “Amarantine” was released in 2005, while 2006 saw the release of the Christmas themed “And Winter Came…”. All added steadily to her rising net worth. 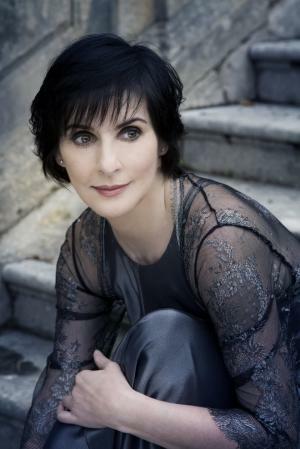 After the release and tour of “And Winter Came…”, Enya took a break from music, and returned three years later, in 2012, to record “Dark Sky Island”, although the album wasn’t released until 2015, with a deluxe edition that featured three additional songs. For her personal life, it is known that Enya has never married and does not have children, though she has had relationships in the past, but also suffered stalkers. She owns and lives in the re-named Manderley Castle near Dublin, which she bought in 1997. 1 When you spend two to three years working on an album that I feel very happy with the end result, there is nothing I would change. Musically, I have achieved what I set out to do. 2 I always felt that the music sells by itself. The music has always been the successful aspect on my career, and that means that, to me, I can always still stay very focused on music. 3 The fans are very, very loyal. They're always saying, 'When is the next album?' They know when I finish in the studio it's got to be a few years before the next album. 4 I do understand that not everyone is going to sit and listen to an Enya album. When someone says it's not their cup of tea, it's not their kind of album, that's fine by me. 5 With my music, I can express myself so much. A lot of the fans can sense that I'm relating to them something that's quite personal. 6 I could have been more famous if I did all the glitzy things, but celebrity always seemed so unnecessary. 7 I told the record company I didn't feel the need to be at red-carpet events. I wanted a career. But I wanted to keep myself intact as a person. 8 I know every note in every song, the whole history of it, even parts that were there and are gone. 9 The writing of a melody is an emotional moment; success doesn't make it easy. 10 It's very easy for me to keep a low profile because the focus I feel is always on the music. Success and fame are two different things. And so I feel the success is always towards the music, which means that I can have a very normal and private lifestyle. 11 The minuses of celebrity include having to live with security and the knowledge that you may be stalked. 12 The music sold itself before anybody knew who I was. 13 Writing music on your own makes you think a lot about your life. Who are you? Would you change anything about yourself? This is where it comes from. 14 I don't have pets, I have two guard dogs; and I don't do my own shopping; it's a security thing. 15 I enjoyed the two years I was with Clannad. I enjoyed touring. We toured a lot in Europe. 16 I didn't expect such a huge reaction, but I knew I was doing something different to everything else that was happening at the time. 17 I do a so-called trip into myself: I sit down at the piano and the melody might start to evolve from my playing or then I might start to sing it. 18 I don't need a man in my life. 19 I tend to listen to the classical composers: Rachmaninov, Satie. 20 My first language is Gaelic. 21 People tend to think that because I need all this time on my own in the studio, that I need time on my own, period. And that's not really true. 22 Over in the UK, the music press can be brutal. They can say wonderful things about you one week, and the next week, you're in the can. 23 I use my voice as an instrument. 24 I am privileged to do a job I love to do. I would never change any moment from my life. 25 I do promotion when it is necessary, but I always want to get back to the music. 26 I have had death threats from people with fixations. 27 The success of Watermark surprised me. I never thought of music as something commercial; it was something very personal to me. 28 It's very homely, this castle. It doesn't have huge ballrooms. I didn't want a cold, cavernous place. 29 It's a noisy environment we all live in, whether it's traffic or the workplace, so it's very difficult to think about your life in general. A lot of people are afraid to do that. They like to hide behind their work and not face up to a big problem in their life. 30 Wintertime for me is a time when I do a lot of my writing in the studio. It's a time I enjoy. And it's very reflective and a very calming time of the year. Throughout the year I gather a lot of musical inspirations, and this is where I bring them to the studio and see what will evolve musically. 31 I find I'm not one of these composers that are, you know, walking along a beach or walking on the mountainside in County Donegal that's, you know, 'Oh, a melody.' It's more a matter of eventually taking that moment with me to the studio, and it begins to evolve. 32 I can only be who I am. 33 Singing in Gaelic is very, very natural to do. I think lends itself very much so to being sung. 34 I'm not one for walking the beaches humming a melody. I love the discipline of sitting in the studio, writing and listening. That is my domain. 35 As with anything creative, change is inevitable. 36 The spring, summer, is quite a hectic time for people in their lives, but then it comes to autumn, and to winter, and you can't but help think back to the year that was, and then hopefully looking forward to the year that is approaching. 37 My core beliefs revolve around the idea that we should live to the best of our abilities-we should live and let live. 38 The ocean is a central image. It is the symbolism of a great journey. 39 Fame and success are very different things. 40 When I was growing up, I'd be in the choir. My mum was the organist in the church, so I'd sing in the church. 41 I find that music makes people just sit and listen, firstly. Then, they seem to interpret their own emotions with the music and it makes them ponder their own life a lot. And then they start to question: Am I happy in my work? Am I happy in my relationships? What am I striving for? 42 I am not reclusive. I just have a private life. 43 The Druids held the trees as very sacred. 44 There is no formula to it. Writing every song is a little journey. The first note has to lift you. 45 It wasn't so long ago that it was not popular to speak Gaelic in Ireland because the areas that Gaelic is spoken in were much poorer areas. 46 I am really a very shy person. If I appear, it is because of the music, not because I want to be seen. 47 When making music I sink myself into the process as deeply as I can and forget all of the success. 48 The personal appearances and red carpet events are very glitzy, but it's a bit false. 49 A lot of people know "Enya" the music, but they don't know what I look like, or what I do. And I think that that's really good... for me, and for the music as well. 1 Vocal range changes from mezzo-soprano, to light alto on the song (s), "Pilgrim", "Trains and Winter Rains", "Pax Deorum" and "Long Long Journey". 2 Because of the soothing nature of her music, the singer's "Only Time" received extensive airplay in the wake of the 9/11 catastrophe. It was this exposure that firmly introduced Enya to American audiences on a grand scale. 3 The late Pope John Paul II was reportedly a big fan of her music. She was even invited to the Vatican to sing for him. 4 Neighbor of Alison Doody. 5 A sample of her song "Boadicea" was used on the Mario Winans hit 'I Dont Want To Know'. It was also used without permission in the Fugees' song "Ready or Not." The Fugees originally did not credit Enya on their album, did not sue them, but it was later settled and she is now credited. 6 She creates her signature sound by layering as many as eighty tracks of her own voice. 7 Comes from a region in the West of Ireland where the Gaelic language is still spoken. Although Enya can speak fluent English, her first language is Gaelic. 8 Sister of Maire Brennan. 10 As of summer 2003, has never toured or performed a live concert. Most TV appearances have been accomplished by her either lip-synching to her original recording, or singing along with it. There have been a few exceptions, most notably at the 74th Annual Academy Awards and at least once on The Tonight Show with Jay Leno (1992). According to Enya, tours and live concerts of her music are virtually impossible due to the logistics of trying to replicate her sound on stage. 11 Name is a registered trademark. 12 Has a minor planet/asteroid named after her. 13 As a recording entity, "Enya" is often considered to be three people: Enya herself, producer Nicky Ryan and lyricist Roma Ryan. The trio have worked together since the early 1980s. 14 Director James Cameron wanted Enya to compose music for Titanic (1997), but when a deal couldn't be reached, James Horner ended up composing an Enya-influenced score for the film. 15 Adopted the spelling "Enya" in order to avoid having to continually explain how to pronounce her true first name, "Eithne." The 74th Annual Academy Awards 2002 TV Special performer: "May It Be" / writer: "May It Be"
The Lord of the Rings: The Fellowship of the Ring 2001 performer: "May It Be", "Aníron" / writer: "May It Be", "Aníron"
Reisei to jônetsu no aida 2001 performer: "Wild Child"
Ocean Men: Extreme Dive 2001 Documentary music: "A Day Without Rain", "Lazy Day" / performer: "A Day Without Rain", "Lazy Day"
Sweet November 2001 performer: "Only Time" / producer: "Only Time" / writer: "Only Time"
Baby Blue 2001 music: "Wild Child", "Pilgrim" / performer: "Wild Child", "Pilgrim"
Paradise Attempted 2000 Short "Book of Days"
Telmisseomding 1999 performer: "Boadicea" / writer: "Boadicea"
Shot Through the Heart 1998 TV Movie as Enya Ryan, "The Memory of Trees" / performer: "The Memory of Trees"
Cry, the Beloved Country 1995 music: "Exile" / performer: "Exile"
Somebody to Love 1994 performer: "Dan Y Dwa" / writer: "Dan Y Dwa"
Piccolo grande amore 1993 performer: "Caribbean Blue"
The Age of Innocence 1993 arranger: "Marble Halls" / performer: "Marble Halls"
Casablanca revisitada 1992 Documentary "Watermark"
Toys 1992 performer: "EBUDAE" / writer: "EBUDAE"
Far and Away 1992 music: "BOOK OF DAYS" / performer: "BOOK OF DAYS" / writer: "BOOK OF DAYS"
Sleepwalkers 1992 performer: "Boadicea" / writer: "Boadicea"
L.A. Story 1991 performer: "Epona", "Exile", "On Your Shore" / writer: "Epona", "Exile", "On Your Shore"
Green Card 1990 performer: "River", "Watermark", "Storms In Africa" / writer: "River", "Watermark", "Storms In Africa"
The Celts 1987 TV Series documentary performer: "The Celts", "Alderbaran", "March of the Celts", "To Go Beyond", "Fairytale", "Epona" / writer: "The Celts", "Alderbaran", "March of the Celts", "To Go Beyond", "Fairytale", "Epona"
Masterminds 2016/I performer: "ONLY TIME"
Absolute Treasure 2014 Video documentary writer: "Orinoco Flow"
Madagascar 3: Europe's Most Wanted 2012 performer: "Watermark" / writer: "Watermark"
WrestleMania XXVI: The World Television Premiere 2010 TV Special performer: "Deora Mo Chroi" / writer: "Deora Mo Chroi"
Shrek Forever After 2010 performer: "Orinoco Flow" / writer: "Orinoco Flow"
Celtic Woman: The Greatest Journey - Essential Collection 2008 Video writer: "Orinoco Flow"
For the Bible Tells Me So 2007 Documentary performer: "Pax Deorum" / writer: "Pax Deorum"
Celtic Woman: A New Journey 2006 TV Movie writer: "Orinoco Flow"
Alone in Time Part 1: I've Given Up 2006 Video short performer: "Only Time" / writer: "Only Time"